YSR Congress Bhimavaram Candidate Grandhi Srinivas ridiculed Pawan Kalyan for joining hands with Chandrababu Naidu who is known for backstabbing even though he issued letter seeking division of United AP and questioned whether Special Status is Sanjeevani. He suggested Pawan Kalyan to merge Jana Sena with TDP even before the 2019 Elections. Grandhi Srinivas: 'Pawan Kalyan kept changing colours like a chameleon. In the past, He had a meeting with KCR for half-an-hour. Today, He is criticising us. I served as MLA only for 5 years. TDP's Ramanjaneyulu was MLA for 10 years. Why don't you criticise him? Everyone knows about the association between Ganta, Anjibabu and Pawan. Netizens have been questioning Jana Sena whether if Chandrababu Naidu isn't corrupt. Babu joined TDP after facing defeat in Congress and then backstabbed NTR. Pawan have the history of teaming up with such a Leader. Is Chandrababu who backstabbed you after winning in 2014 Polls a great person? Stop speaking blatant lies. Better if Jana Sena is merged with TDP. As a Fan, I am appealing PK not to ruin his image. Please withdraw your nomination. Chiranjeevi merged PRP with Congress after winning 18 seats. I was in PRP at that time but refrained from joining Congress. I am fighting against TDP ever since then. Pawan Kalyan keeps preaching about values but change colours as per your convenience. He doesn't even have any ideology. His body language and mindset gives a feeling that you are KA Paul's Brother. Surely, Pawan will face defeat in this elections'. Narasapuram YCP MP Raghurama Krishnam Raju alleged TDP and Jana Sena's secret understanding got exposed finally. 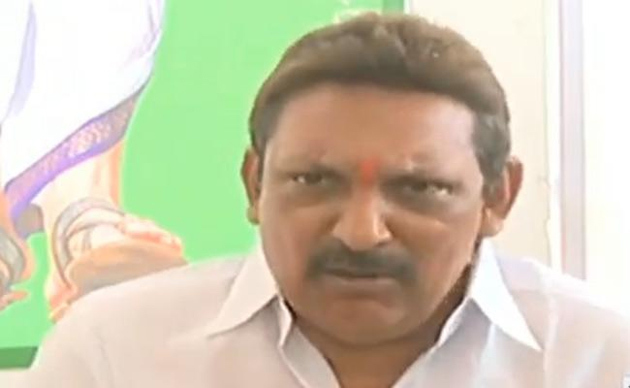 He accused Jana Sena Chief of criticising YCP and KCR as per the directions of Chandrababu Naidu. He opined comments made by Pawan Kalyan could lead to hatred among people in Telangana.